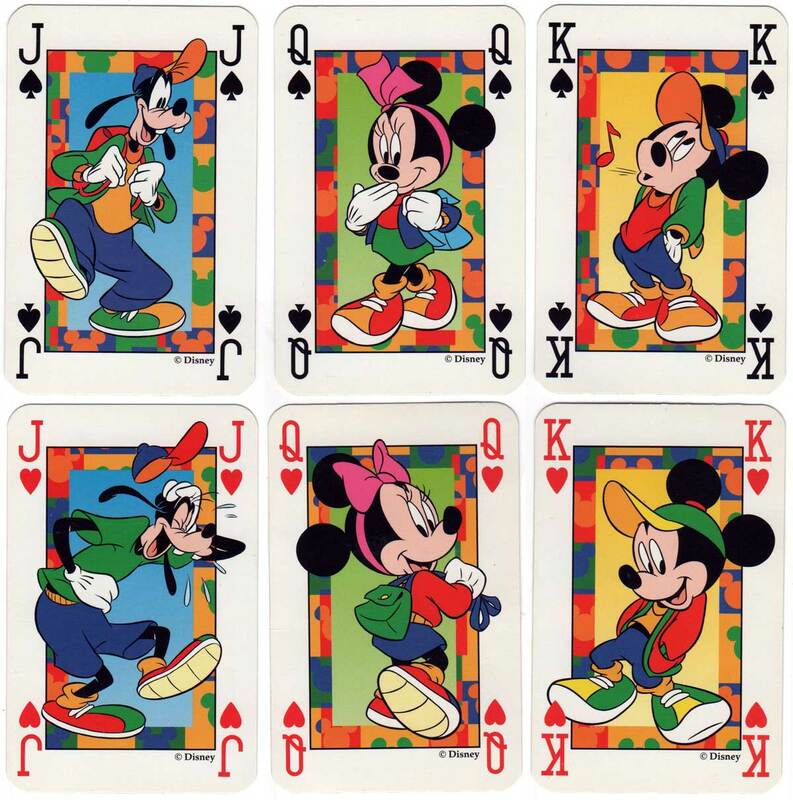 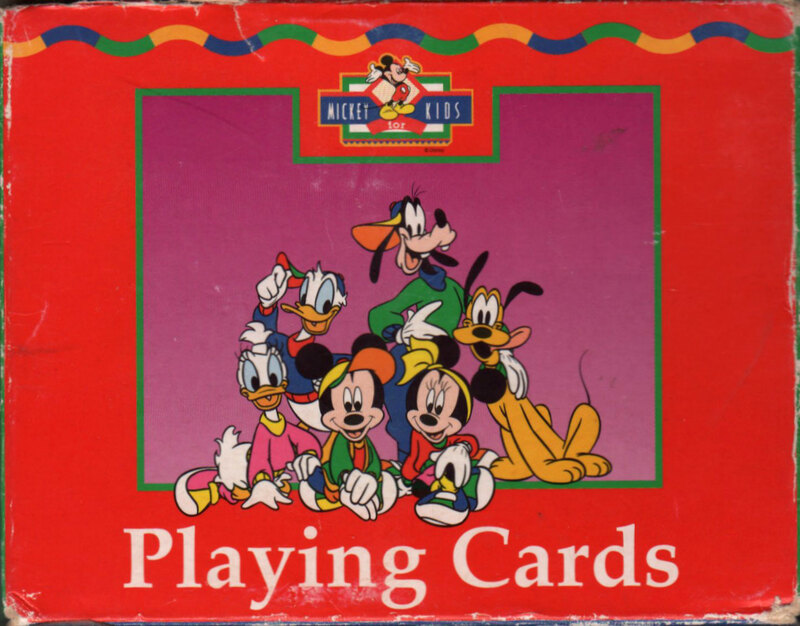 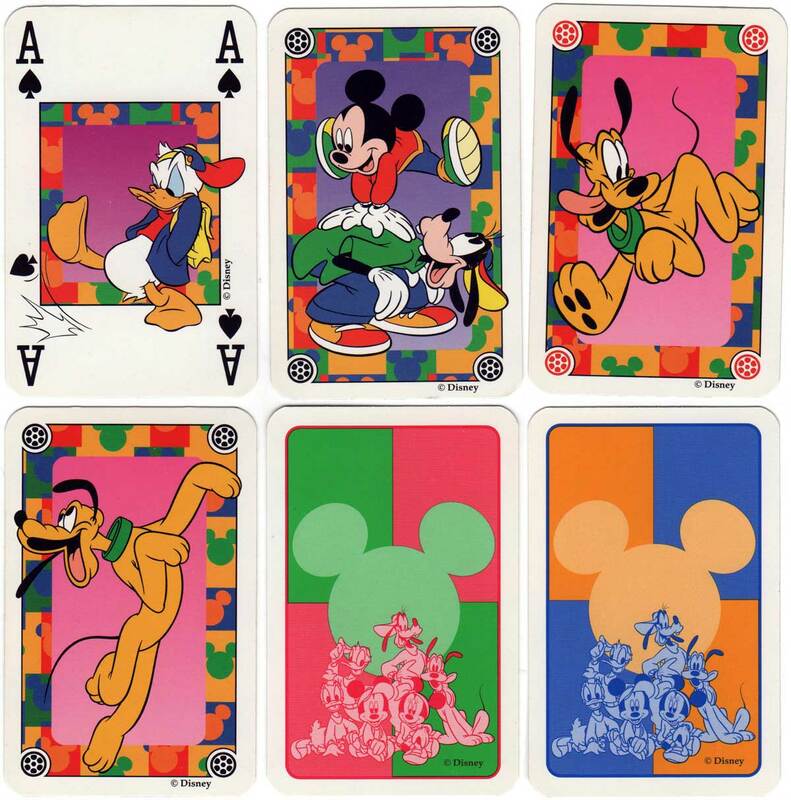 Above: Mickey Kids playing cards from Disney, made by Carta Mundi. 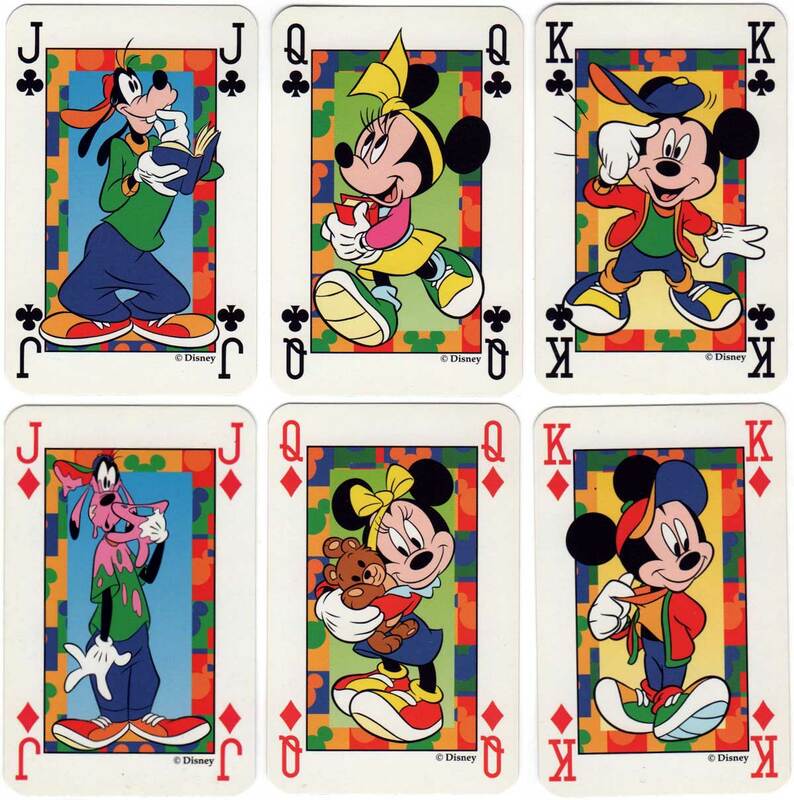 Double boxed set, 2 x [52 + 3 jokers] with different backs. 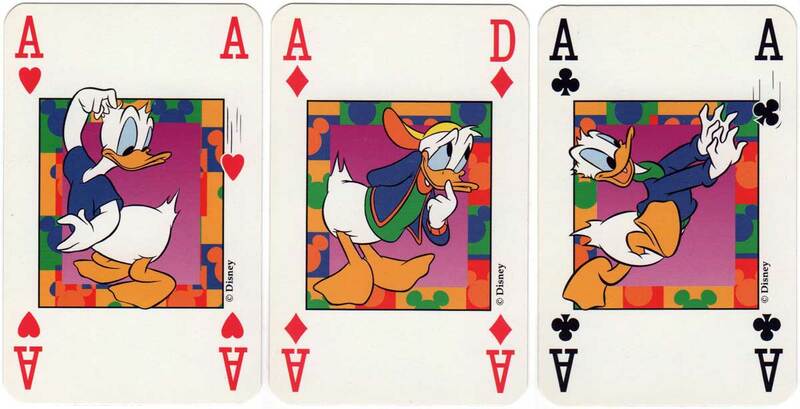 Images courtesy Matt Probert.